Long time no post! But here we are again - although mostly staying inside as the Northeast of the U.S. is under a big cold spell. 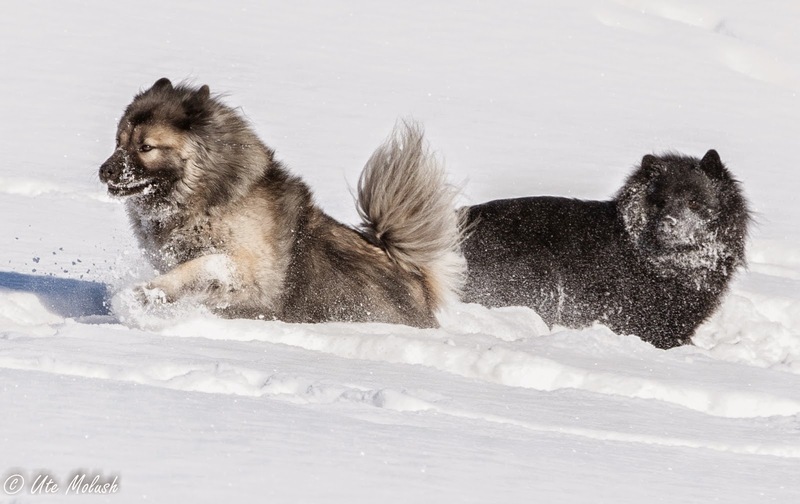 While Eurasiers love the cold and enjoy so much to play in the snow they are not quite so excited at the moment as the snow is more or less solidly frozen and the dogs just slip and slide. The wind chill is currently around -26 degrees Celsius and the dogs are not pleased with those conditions either. They beg me to go out, only to take a few steps, feel the freezing air and come back in. For Maja, who is 12 1/2 years old, it is hardest to walk around on this kind of icy snow but Maja is a trooper and she ventures out to take her rounds in our large back yard. We are trying hard to "think spring" and can't await to be out in fields and woods again. 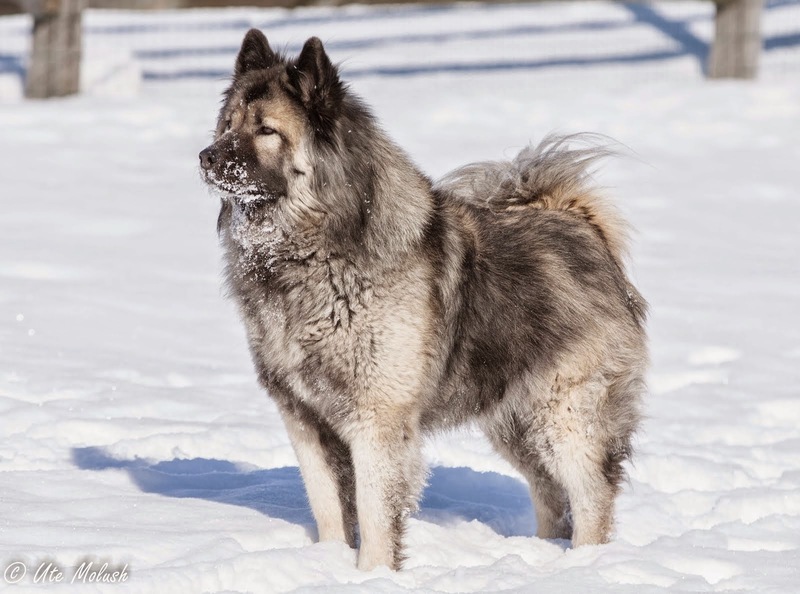 Until spring comes around and if you are a Eurasier owner in North America, join the North American Eurasier group on Facebook. Posting photos and talking Eurasier can help to bridge the time until the first Eurasier walks occur again! Maybe you meet some new Eurasier friends who live in your area. Wouldn't it be fun to meet in person? I would like to let all of my Eurasier Magazine recipients know that the spring edition of "Eurasier International" will not be published in time by the end of March due to some time restrictions that I am facing but I hope to bring interesting topics and pictures from Germany once the issue will be ready to go. 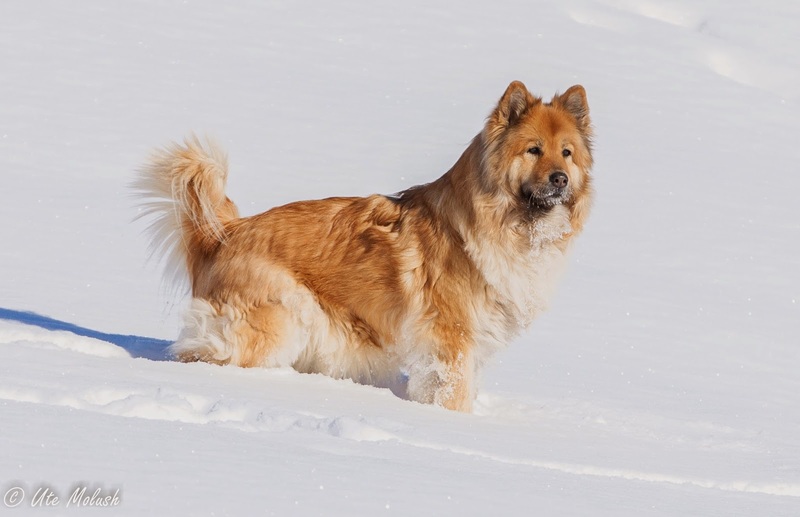 Stay warm, Eurasier friends! Contributions and subscriptions for the magazine are always accepted at udmolush@gmail.com. I will be pleased to include your submissions.